Despicable Me 2 is a computer animated 3D film that is the sequel to the film, Despicable Me. Despicable Me 2 was released on July 3rd 2013, and it has an approximate running time of 1 hour and 38 minutes long. This PG film was directed by Pierre Coffin and Chris Renaud, and it was written by Ken Daurio and Cinco Paul. This film was produced by Janet Healy and Christopher Meledandri, and it star's the voices of many well known actor's and actresses like Steve Carell, Kristen Wiig, Benjamin Bratt, Miranda Cosgrove, Russell Brand, Ken Jeong, Steve Coogan, Elsie Fisher, Dana Gaier, Moises Arias, Nasim Pedrad, and Mason McNulty. Despicable Me 2 falls into the genre's of animation, comedy, crime, and family, and it is suitable or all ages. This film is mainly focused on an ex-villain by the name of Gru. Geu has given up his life as a villain in order to be a good father to his recently adopted daughter's Agnes, Edith, and Margo. However, Gru is eventually talked into joining the Anti-Villain League in order to help catch an evil super villain. This evil super villain has successfully stolen a top secret laboratory close by the Arctic Circle, and the villain plans to make very aggressive monsters that are virtually impossible to destroy. Even more so, when Gru joins up with the Anti-Villain League, he is reluctantly partnered with an undercover agent named Lucy Wilde. 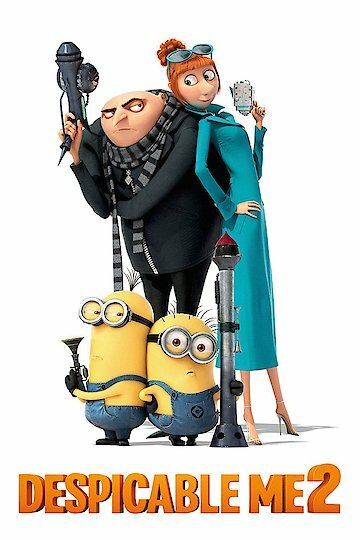 During Gru and Lucy's mission to stop the evil super villain, Gru's three children hope that Gru will fall in love with Lucy so they can have a mom around. Also, with all the work involved with finding this evil super villain, Gru is not around when a mysterious person begins kidnapping his Minions. Despicable Me 2 is currently available to watch and stream, download, buy on demand at FX+, Amazon, Vudu, Google Play, iTunes, YouTube VOD online. Everyone knows that "The Lone Ranger" was a box-office flop and that "The Hunger Games: Catching Fire" was one of the most popular movies of 2013. But if you were asked where "The Conjuring" or "Oz the Great and Powerful" finished in the year's box-office rankings, what would you guess?